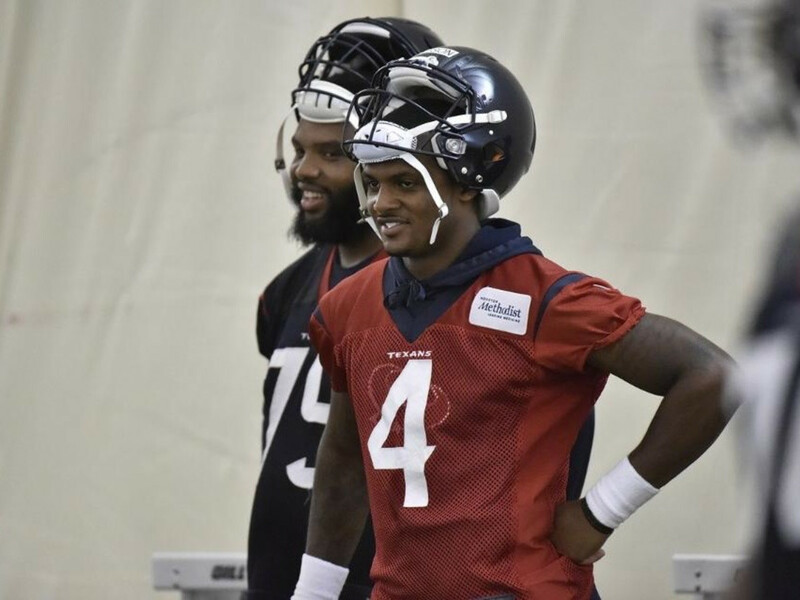 Deshaun fever strikes Houston: Will Watson finish the NFL season as Texans starter? Even though football season is still a few months away, Texans quarterback Deshaun Watson, the team's top pick in the NFL draft, is the center of attention. In this video, the crew from NFL Live looks ahead and speculates if Watson will be starting for the Texans at the end of the season. Hall of Fame GM Bill Polian believes that current Texans quarterback Tom Savage will remain the starter if he is healthy, and Jeff Saturday feels that the Texans will eventually get Watson some game action this year. Most believe that Savage will give the Texans competent QB play because of his experience in the system, but he doesn’t have much game experience. In fact, Savage’s history of injuries goes all the way back to college and the Texans offensive line is average at best. Check out the entire video and see where you come out on the issue. ICYMI: Here are some of the highlights from the Texans rookie mini-camp.